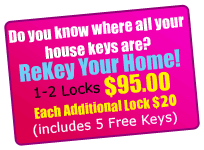 Mr Locksmith Vancouver locksmiths are on call 24 hours a day. All emergency locksmith situations are of the highest priority, so you can count on us to respond when you need us the most. Locked Out of your Home or Car? Cannot find your keys? 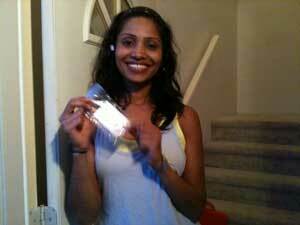 Happy Mr Locksmith Vancouver client after one of our professional locksmiths, have unlocked her door. Any time you are locked out, you can trust us to get you back in. We are master lock pickers and can pick 95% of all locks out there. If your lock is unpickable, we can quickly drill open the lock with zero damage to your door. We are experts at bypassing your security conundrum, and we carry everything you need to get back in and secure. Was your home or business broken into? Fully equipped 24 Hour mobile Locksmith Service Vehicles are available in the Vancouver area, with everything we possibly need to secure your premises. Our professional locksmiths are experienced with fixing break-ins, repairing broken doors, on site key duplication and more. We carry deadbolts, security plates, strikes plates, and wrap around door guards to reinforce your broken door and frame. We have the appropriate tools and equipment to provide clients and businesses with the assistance they need in the most annoying instances. We provide the fastest, most reliable service, 24 hours a day. Our rates are the lowest in Vancouver , we provide over the phone pricing and we promise to never over charge. Our professional technicians deal with a plethora of moral and ethical crisis. Thus it is important to ensure that your technician be licensed, bonded and insured. Emergency technicians are called in to change your locks in the middle of the night. We open doors, for you! And we fix break-ins so you can sleep soundly at night. Our professionals assist people who are scared, angry, and vulnerable and often in conjunction with the police. No wonder Vancouver Magazine voted us best trusted locksmith. We have thirty years and four generations of direct hands-on experience. And when contact us, you get to speak directly to the technician responding to your call. How’s that, for peace on mind?